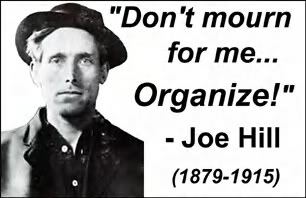 1915, the year of Joe Hill’s execution, was near the high point of IWW strength with around 150,000 members and a number of recent strikes and actions such as the Bread and Roses strike in St Lawrence, and successful industrial actions among lumberjacks to their credit. The union was becoming increasingly demonised in the press and popular folklore with members of the union often being violently assaulted and run out of town or even lynched. The US state and the capitalist class it served now set about a period of heavy repression which would virtually destroy the IWW – or the Wobblies as they were commonly known – over the next 5-10 years. It is easy to see why the IWW would be considered a threat. From the start, it was a very different kind of union, one which sought to confront and defeat the bosses rather than making deals with them. The IWW always looked to organise among the most marginalised and disadvantaged workers – unlike mainstream trade unions at that time the IWW welcomed black workers and immigrants as members. The backbone of the union consisted of itinerant hobo delegates jumping trains to agitate, educate and organise American workers all over the country. Rather than workers organising separately according to craft or trade, the IWW sought to organise all workers industrially in “One Big Union” so that they would not be divided by competing against each other, for example by defending differentials. Instead of remote leaders negotiating on behalf of workers, often behind their backs and to the neverending cries of “sell out”, the IWW engaged in class struggle by means of solidarity and direct action determined and controlled by the workers themselves. Explicit from the start also was the goal of the “abolition of the wage system”, together with the idea that the union itself would provide the basis for organising the new society that was already emerging within the old. Following a visit to Wales in 1910 by American Wobbly “Big” Bill Hayward, the South Wales Miners Federation published the classic “The Miners' Next Step” in 1912. Looking to continue in that tradition of Welsh syndicalism today is IWW Cymru, a branch of the European Regional Administration of the IWW. Established just 2 years ago, IWW Cymru is a small but growing union mainly centred in Cardiff but with members in all parts of Wales. 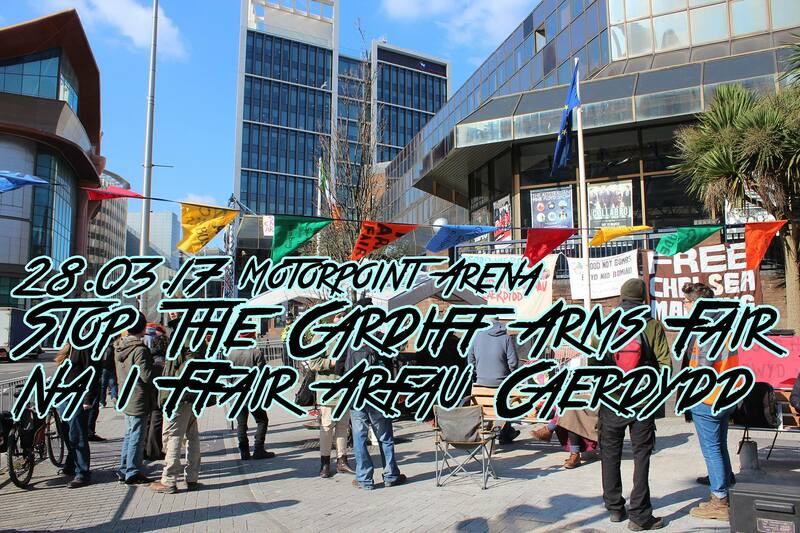 Membership of IWW Cymru is open to all workers, including retired, disabled, unemployed workers and students. One current organising project is an unemployed workers' network called "Sgint" which offers practical support to claimants such as accompanying them to work capability assessments, appeals etc, as well as campaigning against workfare, which exploits unemployed workers. Unemployed workers join the IWW as full members with equal rights to participate, vote and stand for elected office, rather than a second class version of membership which seems to be available from other unions. If you are a worker and not currently a member of a union then you might want to consider joining the IWW, whatever your job - or current employment status. We can provide training and support to help you organise your workplace. We also have accredited reps who can help you if you have problems at work. Indeed, we can provide the same level of support as a mainstream union - except that we WON'T offer to sell you rubbish deals on insurance or credit cards and if necessary we WILL stand with you in solidarity and continue fighting for you even after all routine procedures have been exhausted. We don't possess massive assets or employ a highly paid bureaucracy like other unions so have no stake in the status quo and no respect for unjust capitalist laws. Kim-Putin Summit Analysis - Kim Jong Un managing contradictions with Russia - its a tough game - I am informed that there are no illusions about Russia in the DPRK.